Does it make you think of Star Trek and the Starship Enterprise? 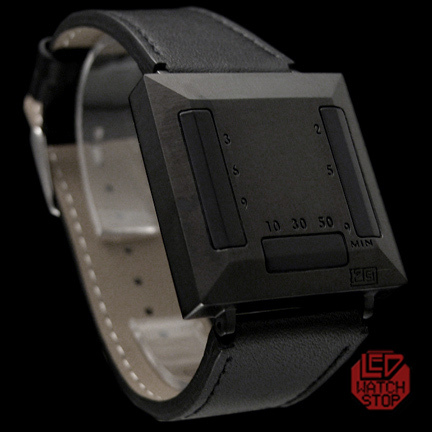 Here it is..the 1259-C a unique techno trend LED watch with solid futuristic appeal. 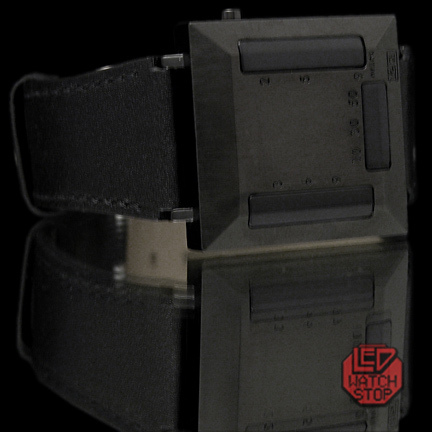 We are the first company outside of Japan authorized to sell this watch. 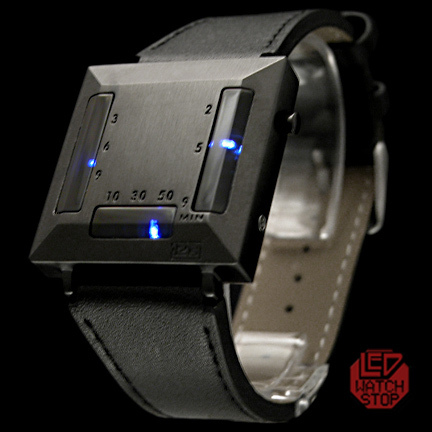 Another watch from the Twelve 5-9 design team using a similar system as the B version to display the time. This updated verion now features a brushed gunmetal colored case with cool blue LEDs and black leather strap. 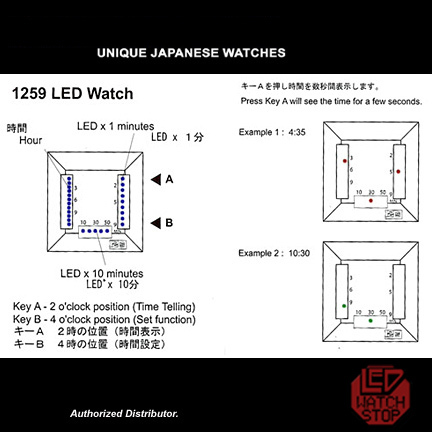 The 12 LEDs on the left represent the hours, 5 on the bottom represent minutes in units of ten and 9 on the right represent the minutes between. 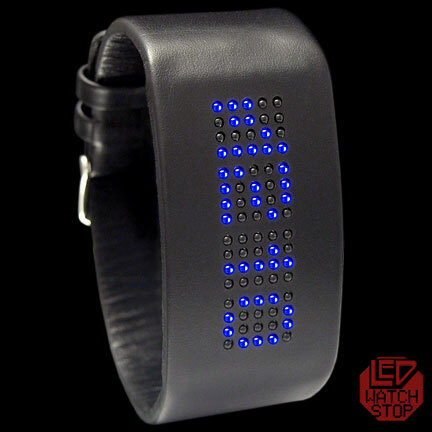 The watch lights up in various crazy patterns when the button is pressed to show the time. Definately a watch set to impress.